We would like to thank our campaign supporters: 4Children, Family Lives and the Pre-school Learning Alliance. Survey – results are in! Toddler Meals: How Much Do They Need? The campaign supporters are 4Children, Family Lives and the Pre-school Learning Alliance. Family Lives supports parents to deal with the changes and challenges that are part of family life. Many people play active roles in raising children and they support all parents and carers as well as supporting parenting professionals. They currently support families to improve the outcomes for over 1 million children each year. "The Alliance believes that children’s health and wellbeing remains an increasing area of concern for those of us working to support young children and their families. The #rethinktoddlerportionsizes campaign highlights an area in which we can all make a real difference with information and guidance that can help us to meet the obesity challenge." 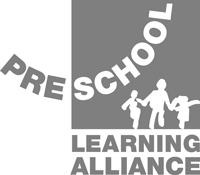 The Pre-school Learning Alliance is the largest and most representative early years membership organisation in England. A registered educational charity, the Alliance represents 14,000 member settings and supports them to deliver care and learning to over 800,000 families every year, offering information and advice, specialist publications, training and accreditation and campaigns to influence early years policy and practice. "Never before has children’s health been deemed a ‘national emergency’, with increasing concern that unhealthy lifestyles will lead to lower life expectancy for this generation of young people compared to previous ones. Early educators and practitioners on the front line have a key role in promoting healthy diet and exercise, contributing to tackling the obesity crisis. We are delighted to support the Infant and Toddler’s campaign #Rethinktoddlerportionsizes – we all need to rethink how much food is on the plate to encourage healthier habits for life." There currently no questions on this topic.